We examined the association of plasma B-vitamins and metabolites, and related genetic variants, with risk of breast cancer among predominantly premenopausal women. We conducted a nested case–control study within the Nurses’ Health Study II. From blood samples collected in 1996–1999 and follow-up through 2007, plasma measures were available for 610 cases and 1207 controls. Unconditional multivariable logistic regression was used to estimate relative risks (RR) of breast cancer and 95% confidence intervals (CIs). We examined whether associations varied by methylenetetrahydrofolate reductase (MTHFR) and dihydrofolate reductase polymorphisms, breast cancer risk factors, or tumor characteristics. Plasma vitamin B12 was associated with a 64% higher risk of breast cancer comparing the highest versus lowest quintile (95% CI 1.17–2.29, p-trend = 0.02). Plasma folate (comparable RR = 1.18, 95% CI 0.84–1.66), pyridoxal 5′-phosphate (RR = 1.18, 95% CI 0.85–1.64), homocysteine (RR = 0.93, 95% CI 0.67–1.28), cysteine (RR = 1.14, 95% CI 0.81–1.62), and cysteinylglycine (RR = 0.93, 95% CI 0.66–1.31) were not associated with overall breast cancer risk. Folate was significantly positively associated with invasive and estrogen receptor-positive/progesterone receptor-positive breast cancer, and this association was suggestively stronger for bloods collected post-fortification. Several nutrient/breast cancer associations varied across subgroups defined by age, smoking, alcohol, multivitamin use, and MTHFR status (p-interaction < 0.05). Overall, plasma B-vitamins and metabolites were not associated with lower breast cancer risk. 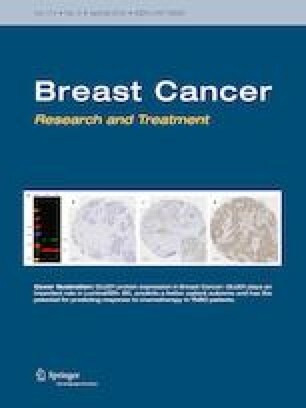 Plasma vitamin B-12 was positively associated with higher risk of overall breast cancer, and plasma folate was positively associated with risk of invasive breast cancer. Additionally, there may be associations in subgroups defined by related genetic variants, breast cancer risk factors, and tumor factors. Further studies in younger women and in the post-fortification era are needed to confirm these findings. The online version of this article ( https://doi.org/10.1007/s10549-019-05223-x) contains supplementary material, which is available to authorized users. We would like to thank the participants and staff of the Nurses’ Health Study II for their valuable contributions as well as the following state cancer registries for their help: AL, AZ, AR, CA, CO, CT, DE, FL, GA, ID, IL, IN, IA, KY, LA, ME, MD, MA, MI, NE, NH, NJ, NY, NC, ND, OH, OK, OR, PA, RI, SC, TN, TX, VA, WA, and WY. The authors assume full responsibility for analyses and interpretation of these data. The Nurses’ Health Study II is supported by the National Institutes of Health (UM1 CA176726, R01 CA67262, R01 CA050385). The content is solely the responsibility of the authors and does not necessarily represent the official views of the National Institutes of Health. The study protocol was approved by the institutional review boards of the Brigham and Women’s Hospital and Harvard T.H. Chan School of Public Health, and those of participating registries as required.